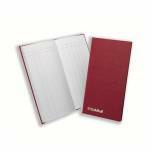 Collins Ideal A4 Book Single Cash 192 Pages 6421 Pack of 1 Ideal manuscript book, single cash ruled. 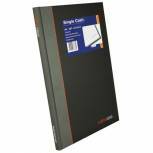 Fully casebound and printed on high quality white wove paper. A4 (297 x 210mm). 192 pages. Guildhall Account Book 80 Pages 5 Cash Columns 31/5 1017 Pack of 1 Guildhall Analysis Book bound in dark Blue vinyl with ledger quality paper and a ribbon marker. Size: 298 x203mm (11.75x8). 31- Series with 80 pages. 5 Cash Columns each page. Ref 31/5. 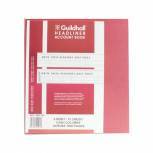 Guildhall Headliner 6 Cash Column Account Book 38/6 1147 Pack of 1 Guildhall Headliner Book, specially designed, you only need to write your headings once. Each book is bound in strong burgundy vinyl and contains 80 pages of 95gsm ledger quality paper. Size: 298x203mm. 6 Cash Columns across page. 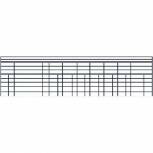 Ref - 38/6. Collins Cathedral Analysis Book 5 Cash Columns 96 Pages 811105/7 Pack of 1 Collins Cathedral Analysis Book 5 Cash Columns 96 Pages 69/5. 1 811105/7. Fully casebound in red leathergrain. Printed on high quality azure wove paper, each page has 41 lines and features discreet boxhead vertical and horizontal line numbering. Collins Cathedral Analysis Book 10 Cash Columns 96 Pages 811110/3 Pack of 1 Collins Cathedral Analysis Book Cash Columns 96 Pages 69/10. 1 811110/3. Fully casebound in red leathergrain. Printed on high quality azure wove paper, each page has 41 lines and features discreet boxhead vertical and horizontal line numbering. Collins Cathedral Analysis Book 4 Cash Columns 96 Pages 811104/9 Pack of 1 Collins Cathedral Analysis Book Cash Columns 96 Pages 69/4. 1 811104/9. Fully casebound in red leathergrain. Printed on high quality azure wove paper, each page has 41 lines and features discreet boxhead vertical and horizontal line numbering. 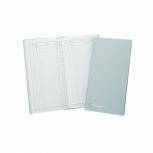 Collins Cathedral Analysis Book Petty Cash 96 Pages 4 Debit 16 Credit Columns 812147/8 Pack of 1 Collins Cathedral Analysis Book Petty Cash 96 Pages 150/4/16. 1 812147/8. Fully casebound in red leathergrain. Printed on high quality azure wove paper, each page has 41 lines and features discreet boxhead vertical and horizontal line numbering. Collins Cathedral Analysis Book 7 Cash Columns 96 Pages 812107/9 Pack of 1 Collins Cathedral Analysis Book Cash Columns 96 Pages 150/7. 1 812107/9. Fully casebound in red leathergrain. Printed on high quality azure wove paper, each page has 41 lines and features discreet boxhead vertical and horizontal line numbering. Collins Cathedral Analysis Book 14 Cash Columns 96 Pages 812114/1 Pack of 1 Collins Cathedral Analysis Book Cash Columns 96 Pages 150/14. 1 812114/1. Fully casebound in red leathergrain. Printed on high quality azure wove paper, each page has 41 lines and features discreet boxhead vertical and horizontal line numbering. Collins Cathedral Analysis Book 6 Cash Columns 96 Pages 811106/5 Pack of 1 Collins Cathedral Analysis Book Cash Columns 96 Pages 69/6. 1 811106/5. Fully casebound in red leathergrain. Printed on high quality azure wove paper, each page has 41 lines and features discreet boxhead vertical and horizontal line numbering. 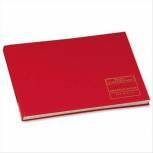 Guildhall Headliner Book 80 Pages 298x305mm 58/27 1383 Pack of 1 Guildhall Headliner Book, specially designed, you only need to write your headings once. Each book is bound in strong burgundy vinyl and contains 80 pages of 95gsm ledger quality paper. Size: 298x305mm. 27 Cash Columns across opening. Ref - 58/27. 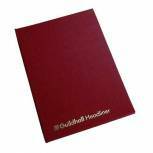 Guildhall Postage Book 80 Pages Grey T229 1800 Pack of 1 Guildhall Postage Book. Records letters and postage sent. Each book contains 80 pages with a leaf size of 298x152mm (11.75x6). Colour - Light Grey. 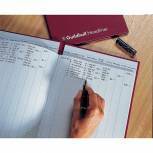 Guildhall Casebound Petty Cash Book 298x152mm T272 1810 Pack of 1 Guildhall Petty Cash Book. Ruled with 1 debit, 7 credit columns. Each book contains 80 pages with a leaf size of 298x152mm (11.75x6). Bound in Red. 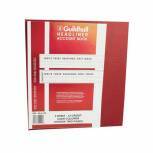 Guildhall Headliner Book 80 Pages 298x273mm 48/4-12 1292 Pack of 1 Guildhall Headliner Book, specially designed, you only need to write your headings once. Each book is bound in strong burgundy vinyl and contains 80 pages of 95gsm ledger quality paper. Size: 298x273mm. 4 Debit and 12 Credit. Ref - 48/4-12. 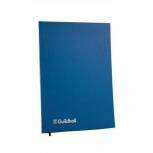 Guildhall Headliner Book 80 Pages 298x273mm 48/6-12 1293 Pack of 1 Guildhall Headliner Book, specially designed, you only need to write your headings once. Each book is bound in strong burgundy vinyl and contains 80 pages of 95gsm ledger quality paper. Size: 298x273mm. 6 Debit and 12 Credit. Ref - 48/6-12. 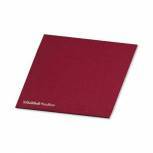 Guildhal Burgundy Headliner 20 Column Account Book 58/4-16 1384 Pack of 1 Guildhall Headliner Book, specially designed, you only need to write your headings once. Books are bound in strong burgundy vinyl and contains 80 pages of 95gsm ledger quality paper. Size: 298x305mm. 4 Debit 16 Credit across opening. Ref 58/4-16. 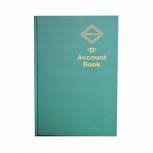 Simplex D Accounts Book (52 pages) Ref:D Pack of 1 Simplex D Account Book. One year record for small businesses. Easy to follow instructions. 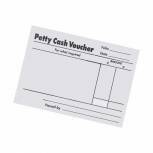 Record receipts, payments, purchases and sales. Simple self-assessment figures for inland revenue. Green hardback covers. Pack of 1. Collins Cathedral Analysis Book 7 Cash Columns 96 Pages 811107/3 Pack of 1 Collins Cathedral Analysis Book Cash Columns 96 Pages 69/7. 1 811107/3. Fully casebound in red leathergrain. Printed on high quality azure wove paper, each page has 41 lines and features discreet boxhead vertical and horizontal line numbering.